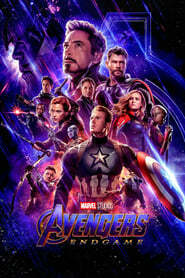 Avengers: Endgame is a 2019 Adventure Science Fiction Action movie directed by . It stars Robert Downey Jr., Chris Evans, Mark Ruffalo, among others. "Part of the journey is the end." Perfectly balanced as all things should be. Ariana Grande breaks record for most views in 24 hours! This is the movie of our lives. Some people watch this trailer once. But not us... not us. Marvel fans: Some people move on, but not us! We need to make sure Endgame beats Avatar in the all time box-office! Just thought of re-watching app the endgame trailers and teasers..Hyped so much! Part of the journey is the end. Epic! DC CEO:"What am I looking at Friday"
Friday:"When it gets high enough, Global Extinction"
They reveal the Star Wars title just like this one. The world has changed,and none of us can go back.All we can do is our best and sometimes the best we can do is to start over. Rocket is gonna give the stolen batteries to someone to save Tony.